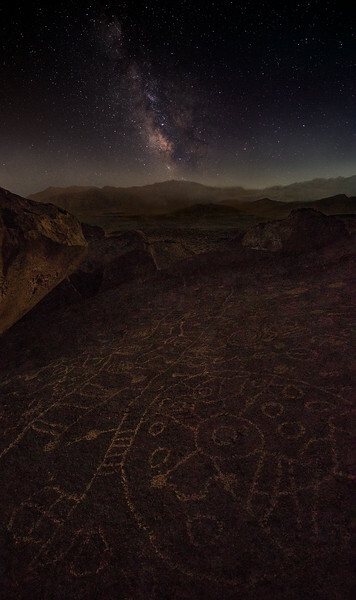 Outside of Bishop, California is an assortment of areas with magnificent petroglyphs. A fire was burning in the area the night I captured this image. It was quite smoky.